When someone is in an auto accident that involves a truck, they might wrongly believe that there is no difference between accidents involving cars and those involving trucks. When a truck is involved in a collision, it is typically more serious and the consequences are worse for both drivers. When you are hit by a truck, your risks for injury are much greater than they would be in the average car accident. There are seven major ways that trucking accidents differ from auto accidents. 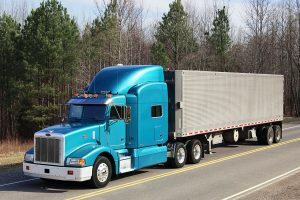 Due to the additional risks associated with a truck or 18-wheeler, truckers are required to carry insurance policies larger than an average car insurance policy. Trucks are monitored and governed by the Federal Motor Safety Administration and the Department of Transportation. That means that they are guided by different laws and standards of care than other vehicles. There are specific ways that trucks are required to be maintained, logbooks that need to be filled out, time limitations that they can work, and inspections that trucks must pass. Due to the sheer weight of a truck, in an accident, there is almost always more damage done to property than when just cars are involved. Also due to a truck’s weight, in an accident, there is a greater likelihood that someone will be injured and that those injuries will be more severe and debilitating. Most people involved in trucking accidents need more than just whiplash and soft tissue injures. When you are hit by the weight of a truck, the injuries are usually more severe and come with higher medical costs and more medical treatment. These are a few ways that truck accidents differ from car accidents but there are more that a car and truck accident attorney like Alex R. Hernandez Jr. can answer. Call 1-888-HDZLAW-8 today for a free no risk consult.